Adopt a purpose-built packet core platform for your LTE and EPC services with the Tellabs SmartCore 9100 packet data network gateway. Mobile and multimedia applications that use copious amounts of data are diversifying and increasing the demand on your network. Can you handle the increase in bandwidth usage across existing network deployments and the demand for 3GPP LTE? 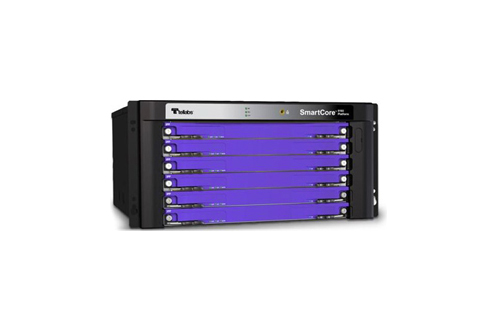 The Tellabs SmartCore 9100 could be your answer. It provides evolved packet core technology, laying a foundation for offering high-demand, revenue-generating services that can tax a traditional mobile or even LTE network. Innovations available on refurbished Tellabs SmartCore 9100 PDNs from Worldwide Supply allow you to expand functionality significantly with a scalable mobility anchor to 3GPP as well as non-3GPP packet data networks. The build ensures you can scale without seeing increases in deployment or energy costs, allowing you to further optimize your core network. Worldwide Supply offers used Tellabs SmartCore 9100 and refurbished models that are maintained, reviewed and repaired so they meet OEM standards and the demands of your network. We recommend the Tellabs SmartCore 9100 platform for carriers looking to work within vendor and other ecosystem elements as you make efforts to reduce your network deployment and maintenance costs. The 9100 allows you to speed up your time-to-revenue — and getting a refurbished Tellabs SmartCore 9100 from us makes that process even faster. Support millions of subscribers on a single affordable platform with multiple bearers per subscriber with real-time optimization.